Will Rose, winner of the bartlett mitchell Chef of the Year title, has completed a unique three-day trip in Copenhagen – as part of his prize for winning the competition. 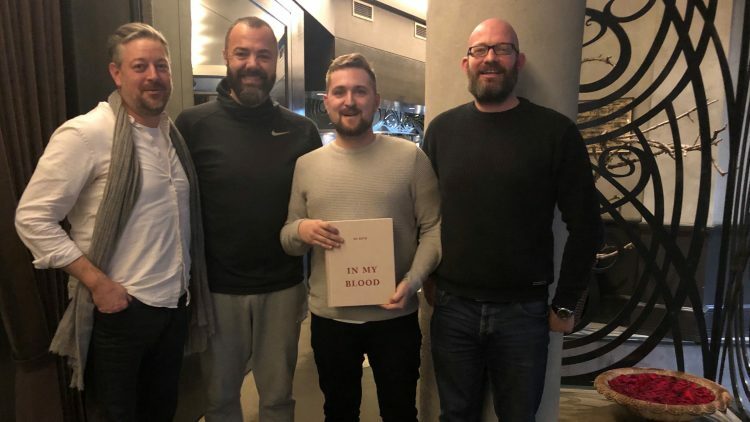 The trip, which included visiting some of the City’s leading restaurants, saw Will spend three days alongside Michelin starred Adam Byatt and Pete Redman, bartlett mitchell’s chef director. The trio visited food hot-spots such as Relae, Manfreds, Geist, Kong Hans Kaelder , Restaurant 108 as well as the famous Hart Bakery. Will was able to enjoy a broad range of culinary experiences, as well as have access to Adam and Pete’s advice and guidance. As part of his prize, Will has already undertaken a stage at The Latymer restaurant with chef Matt Worswick, and worked with Adam and Tom Kitchin at the Verdura Resort in Sicily. He said: “Winning Chef of the Year meant that I was offered a trip of a lifetime. Not only did I get to eat at some amazing restaurants that I’ve only read and dreamt of, but I also got to see a City I’ve always wanted to go to. “My experiences have been amazing. Going to Sicily with Adam Byatt to work alongside him and Tom Kitchin was incredible, as well as spending time with Matt Worswick and his team at his Michelin starred restaurant in Surrey. Pete said: “We really wanted Will to have a unique experience and chose Copenhagen to give him exposure to the food and concepts he wouldn’t normally see. As well as visiting these restaurants, he was able to spend time with myself and Adam, enabling him to gather any insight into his career development. “While it’s important to develop skills, we believe that a successful chef should have the chance to be able to spend some social time with experienced chefs to allow for closer mentoring. Adam, who is chef patron of Trinity restaurant, and chef consultant at bartlett mitchell, added: “The brilliant William Rose, this year’s much deserved winner, accompanied myself and Pete Redman to get under the skin of the foodie city that has had such a lasting impact on gastronomy.